MATLOCK, United Kingdom, Oct 10 2014 (IPS) – Since the end of the Cold War, the Mediterranean has become the most lethal of Europe’s barriers against irregular migration, having claimed nearly 20,000 migrant lives in the last two decades. And the first nine months of 2014 indicate that the phenomenon is on the rise, with more migrant deaths than in any previous year. Last month, a report from the International Organization for Migration (IOM) reported that 3,072 migrants have drowned in the Mediterranean this year out of a worldwide total of 4,077 deaths worldwide. These figures are almost certainly underestimates, because many migrant deaths in the Mediterranean are not reported. In the same month, a report from Amnesty International on migrant deaths in the Mediterranean estimated that 2, 200 migrants died between the beginning of June and mid-September alone. The worst incident in this period took place on September 11. when 500 men, women and children, many of them refugees from Syria and Palestinians from the Gaza Strip, drowned after their boat was deliberately rammed by their traffickers in Maltese territorial waters. This horrendous crime took place less than one year after the horrific events of Oct. 3 last year, when at least 360 migrants drowned when their boat sank near the Italian island of Lampedusa. At the time, the drownings at Lampedusa prompted an unprecedented outpouring of international anger and sympathy. Pope Francis, European politicians such as Cecilia Malmstrom (European Commissioner for Home Affairs) and Juan Manuel Barroso (President of the European Commission), and U.N. Secretary-General Ban Ki-Moon all joined in the chorus of condemnation and called on Europe and the international community to take action to prevent such tragedies in the future. Twelve months later, these worthy declarations have yet to be realized. Following the Lampedusa tragedy, Italy undertook the largest combined naval/coastguard search and rescue operation in its history – known as ‘Operation Mare Nostrum’ – to coincide with Italian occupancy of the Presidency of the Council of the European Union. 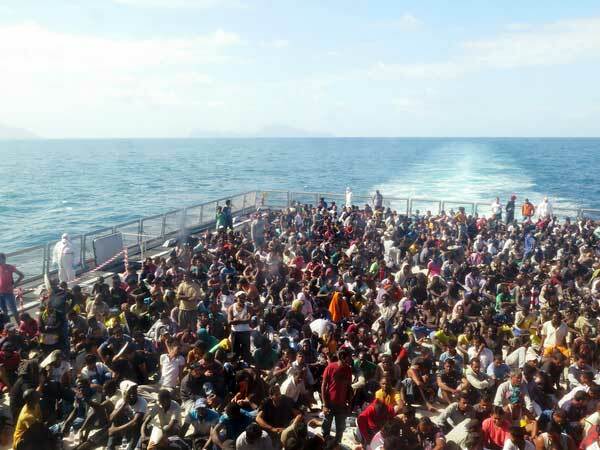 At a cost of nine million euros per month, the operation has rescued 100,000 people. Yet despite these efforts, the death toll is already four times higher than it was in the whole of last year. This increase is partly due to the rise in the numbers of people crossing, primarily as a result of the Syrian civil war and the collapse of the Libyan state. This year, more than 130,000 migrants have crossed the Mediterranean, compared with 60,000 the previous year. These numbers have tested the resources of Malta and Italy. Some drownings have occurred as a result of a lack of clarity and coordination between the two countries over their mutual search and rescue areas. 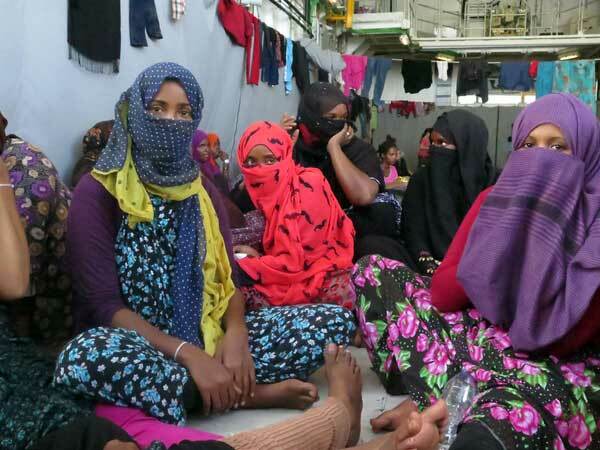 In addition, Malta has sometimes been reluctant to rescue migrant boats in distress – a reluctance that some observers attribute to an unwillingness on the part of the authorities to accept them as refugees. But the European Union has also been conspicuously absent from the unfolding tragedy on its southern maritime borders. Despite numerous calls from the Italian government for assistance, it was not until August this year that the European Union mandated ‘Frontex’ – the European border agency – to undertake ‘Operation Triton’ in the Mediterranean to complement Italy’s search and rescue operations. But Frontex is primarily concerned with immigration enforcement rather than search and rescue, and the joint operations that it coordinates are entirely dependent on resources provided by E.U. member states. It is at this level that the lack of response is most glaring. There are many things that European governments could do to implement to reduce migrant deaths. They could use their navies to establish the ‘humanitarian corridors’ between North Africa and Europe, as the U.N. refugee agency UNCHR once suggested during the Libyan Civil War. They could facilitate legal entry, so that men, women and children fleeing war and political oppression can reach Europe safely without having to place their lives in the hands of smugglers. The European Union could also abolish or reform the Dublin Regulation that obliges asylum seekers to make their applications in one country only. This law has placed too much responsibility on European ‘border countries’ like Malta, Italy, Spain and Greece, all of which have experienced surges in irregular migration over the last twenty years. More generally, Europe could establish an international dialogue with migrant-producing countries to make labor migration safe and mutually beneficial. However, many governments clearly regard ‘Mare Nostrum’ as an essential moat between ‘Fortress Europe’ and its unwanted migrants. Most migrants who cross the Mediterranean are refugees from nationalities that UNHCR considers to be in need of some form of protection under the terms of the Geneva Convention. But in order to obtain this, they have to reach Europe first and undergo all the risks that these journeys entail. All this has transformed the Mediterranean into what Amnesty calls a “survival test” for refugees and migrants. Few politicians will openly admit this because such an admission would directly contradict the values that the European Union has set out to uphold since the European project first took shape after World War II. Most governments prefer instead to condemn the smugglers and organized criminals who profit from such journeys, and wring their hands whenever a particularly terrible tragedy takes place. Men who sink migrant boats or send them to sea without lifebelts certainly deserve to be condemned. But, as Amnesty International points out, Europe’s ”woeful response” has also contributed to the death toll. And it is difficult to avoid the conclusion that the Mediterranean has become an instrument in a policy of deterrence, in which migrant deaths are tacitly accepted as a form of ‘collateral damage’ in a militarized response to 21st century migration whose overriding objective is to stop people coming. Until these priorities change, migrants will continue to die, and 2014’s grim record may well be superseded. Italy has already threatened to stop its search and rescue operations when its presidency of the European Union comes to an end later this year. So far, there is little sign that anybody is listening.